Meat preservation is a survival technique dating back to ancient times. Many cultures developed recipes for dried cured meat, or jerky. Biltong is just one type originated in Botswana, South Africa, Zimbabwe and Namibia. Various types of meat can be used to produce biltong, ranging from beef and game meats to fillets of meat cut into strips following the grain of the muscle, or flat pieces sliced across the grain. 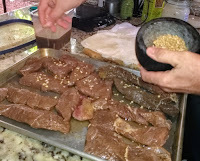 It is related to beef jerky in that they are both spiced, dried meats; however, the typical ingredients, taste and production processes may differ. John discovered this delicious recipe for a South African style jerky a couple of years ago. 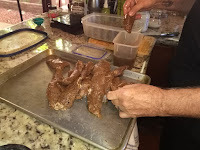 We give full credit to https://www.biltongblog.com/making-biltong/ for this original recipe. 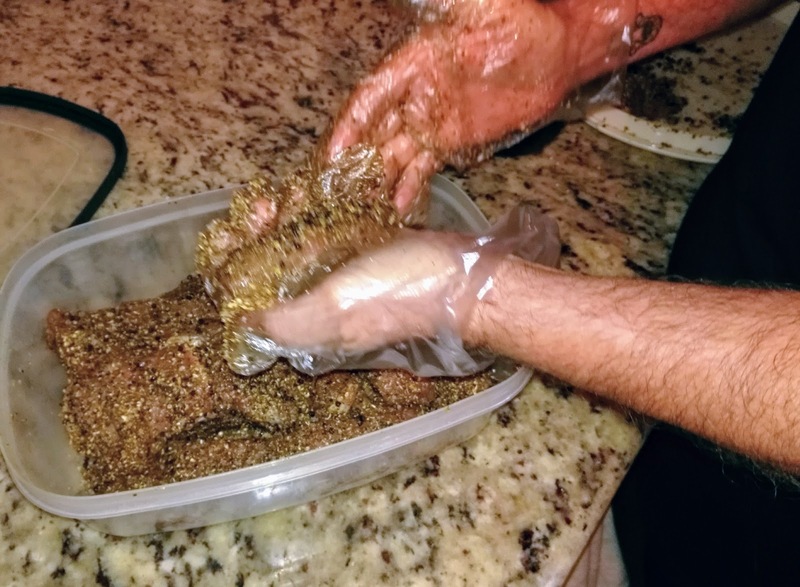 There are many other techniques for producing a great biltong, but this is the method that works best for us. 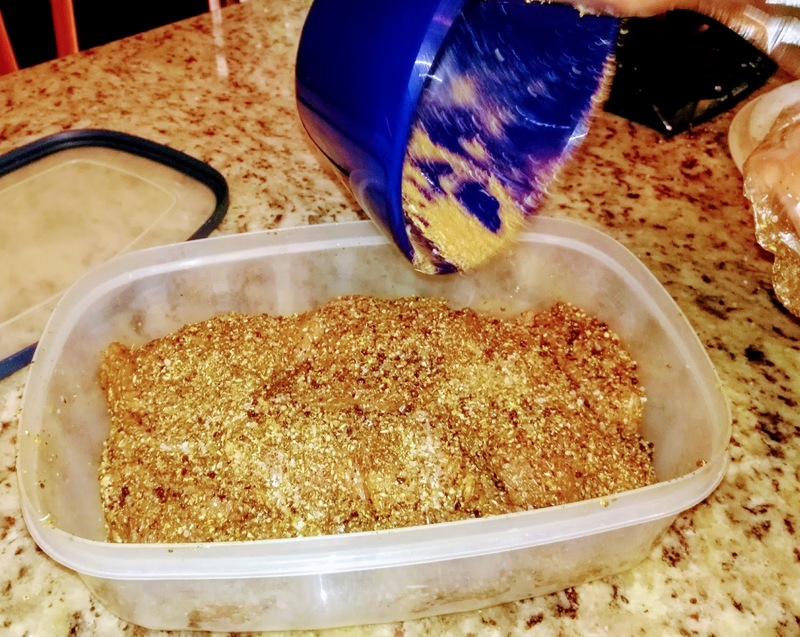 other optional ingredients: paprika, cayenne pepper (for spicier biltong – not much needed..), crushed dry garlic, any other herbs and spices that you want to experiment with. Start with a cut of good beef such as sirloin. Cut the beef into flat strips of about 1 inch deep by 2 inches wide. Cut the strips with the grain and if possible (and desired) leave a thin strip of the fat on one side. The fat will dry out nicely and add to the taste. 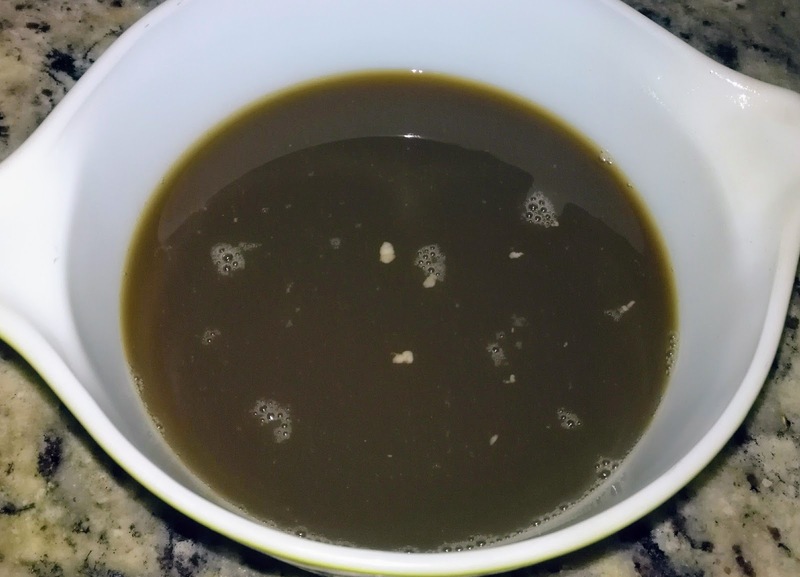 Make the brining solution: Mix 1½ cups of white vinegar and ½ Worcestershire Sauce into a large flat dish deep enough to cover the meat strips. Lay the strips in the vinegar mix for 2-4 hours to absorb and begin the curing process. When finished this initial curing remove the strips and squeeze and pat dry. You can keep the vinegar/water mix for rinsing the strips later. Place a layer onto the bottom of a dish or plastic container that is large enough to lay the meat flat. Stack the spiced strips on top of each other with a layer of spices in between each. 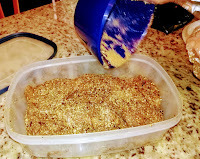 Pour any excess dry rub over the top of the meat strips, and press spices into the strips. Set aside to cure for 6 – 24 hours. The longer you leave it the more the meat will absorb the salt, pepper, coriander – i.e. if you prefer a more natural taste then leave the meat in the spices for less time. Remove the spiced strips from the dish and rinse in the vinegar/water mix from 2 above. Most of the spices on the outside of the meat should wash off. Squeeze or pat dry. Leave more or less of the spices to your taste. OPTIONAL – ADD CRACKED CORIANDER SEEDS Lay the meat down and apply the coarse cracked coriander seeds to the outside of the meat in sufficient quantity to stick to the strips. If you slightly roast the coriander seeds in a pan before crushing them this releases additional flavor of the seeds – highly recommended (you can also put the seeds into the microwave for 20-30 seconds). Crush the seeds into halves or quarters in a small mortar bowl so you end up with pieces that will stick nicely to the meat. Alternatively you can put the seeds in an old pepper or spice grinder that is set to grind very coarse. 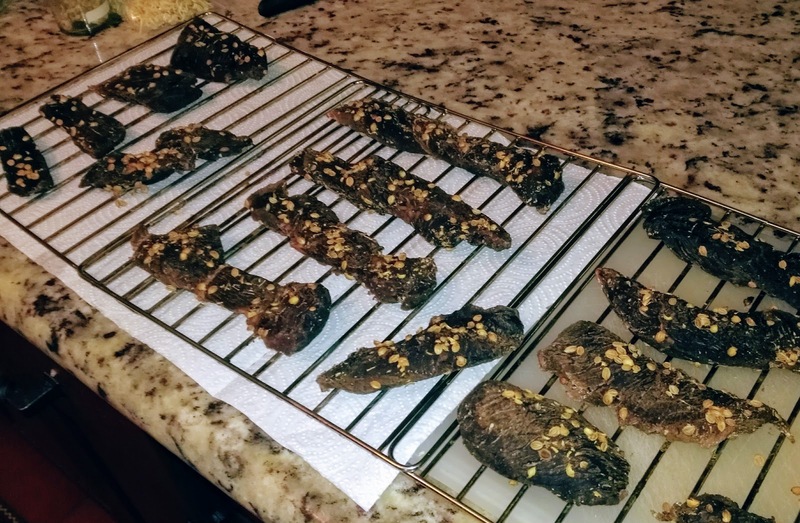 Dehydrate the biltong strips in a smoker (no wood chips to produce smoke required, but we add a small amount at the beginning of the drying process), or oven, set to 165°F. Lay the strips on racks with a space between each strip for the air to circulate. 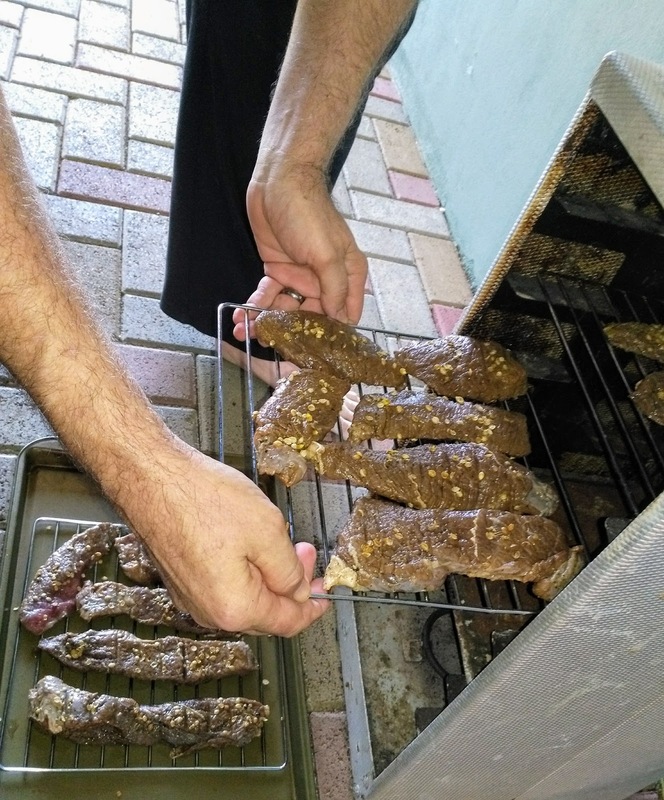 Depending on the thickness of the biltong, it should take about 12 hours in the smoker/oven, and another day to air dry. During this time you can gently pinch the pieces to check for dryness and/or cut off pieces to sample to check for readiness. Once the strips are dried, they're about two-thirds their original thickness and width. Traditionally the finished strips are cross-cut into little rectangular "cookies" about 1/4" thick. That exposes the tender middle and makes them a great snack, or energy source. Store biltong in the fridge, especially in warm climates. Never store in a plastic bag unless vacuum sealed.